Leilani Chow was born and raised on the Hawaiian island of Molokai. One of seven children, Chow knows how important the sustainability and resiliency of the island is to its 7,500 residents, most of whom are Native Hawaiian. 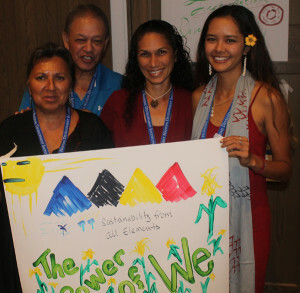 At 16, she got involved with Sustʻāinable Molokai, which “seeks to restore Molokai to the food- and energy-secure island of the past by supporting local agricultural and renewable energy resources from the island.” The organization is a longtime grantee of First Nations Development Institute (First Nations) and participates in First Nations’ NativeGiving.org project that is supported by the W.K. 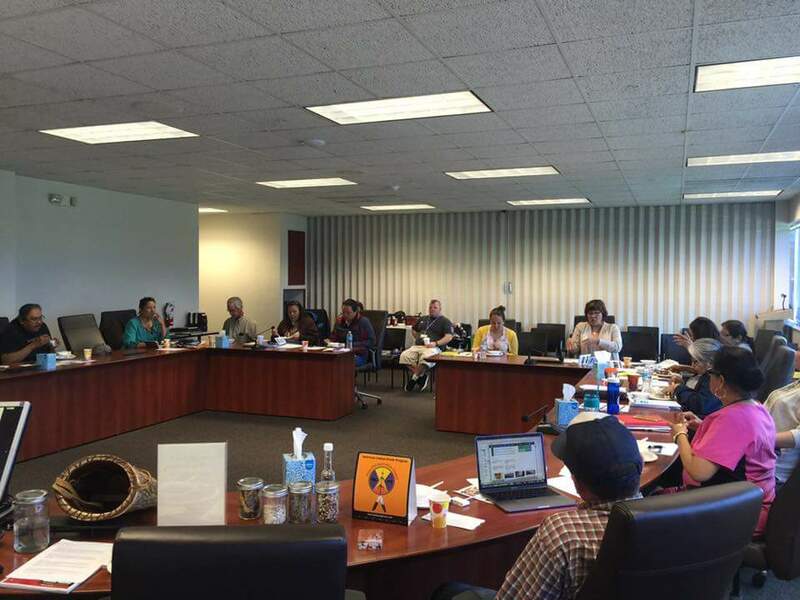 Kellogg Foundation and the San Manuel Band of Mission Indians. Hui Up is an effort that conducts energy audits aimed at the 3,500 homes on Molokai that have some of the highest electricity rates in the U.S.
“I thought it was pretty cool. I was really happy to help people save on electric bills at home. It’s necessary and it has helped a lot of people. When I started it was the first year – we did the applications by hand. Now it’s easier to get the audits done, we have an online application. The first year we updated 100 refrigerators. This year we did 207, and we have a waiting list of over 100 people,” said Chow. Now 24 and a recent graduate of the University of Hawaii, Chow trains Molokai youth to conduct energy audits. “There’s a team of six with two to a team, and we have youth volunteers. My team was made up of middle schoolers and they did a great job. I was so proud of them,” said Chow. 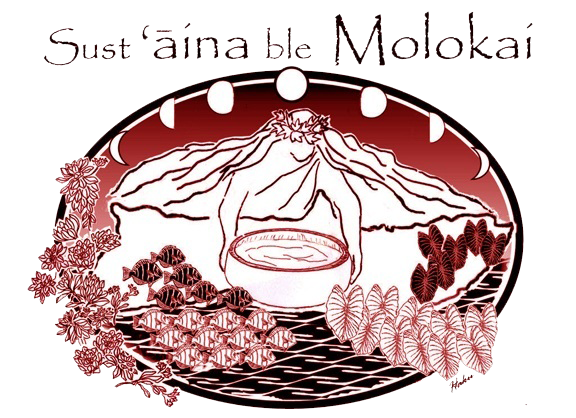 Chow is expressive about how important the island and the work of Sustʻāinable Molokai is to her. It’s one of the main reasons she returned home the summer of 2017 after graduation. 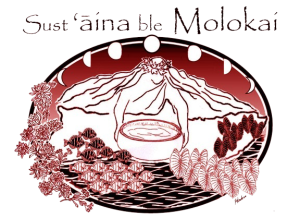 “I want to go back home and have a more permanent position and do more projects with Sustʻāinable Molokai. I want to help build my community,” said Chow. 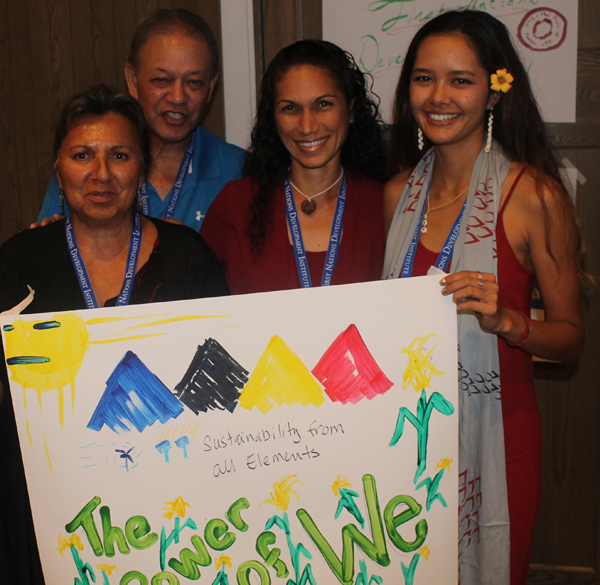 Chow’s passion and commitment to Sustʻāinable Molokai and her community lead her to be one of the 54 attendees, representing Native nonprofits and tribal programs from across the country, at the Power of We – Fundraising, Sustainability and Telling Our Stories training event held by First Nations in September 2017. The informative and engaging training focused on sustainability, and provided the attendees an opportunity to develop a deeper understanding of fundraising best practices and communicating the impact in a peer-learning environment. Two speakers who especially impacted Chow were Regis Pecos (Cochiti Pueblo), Co-Director of the Leadership Institute at the Santa Fe Indian School (SFIS), and Diane Reyna (Taos Pueblo), a Consultant with the Leadership Institute at SFIS. Chow connected with how they develop curriculum and that the students get to determine the rules. Emillia Noordhoek is the Co-Executive Director and the Director of Renewable Resources of Sustʻāinable Molokai, and has known Chow for the past 12 years. She sees the importance and the need to create a place for the youth to come back to for the sustainability and resiliency of the island. “We work hard to keep the youth engaged so they can come back after college, but they can’t earn as much as they would on the mainland or in Honolulu if we didn’t have stipends. So part of our leadership program, as we’re reimagining it, is that someone can work on a project, go back to college or other training, and be able to return to Molokai and pick up the project where they left off,” said Noordhoek. Building their capacity to create positions for Chow and the youth of Molokai is a key effort of Sustʻāinable Molokai and Noordhoek. Attending the Power of We training gave Chow and the other attendees an opportunity to see what other Native communities are doing, to learn from other emerging and accomplished, committed community leaders. “I had no idea what to expect as this was my first Power of We conference that I’ve been to. I was blown away with the speakers as they were so amazing. It was well-planned and fun. I learned a lot. I had never thought about fundraising in those ways – it’s an area that we need to look at,” said Chow. Show Me the ($pending Frenzy) Money! With more than 80 partnering communities, hundreds of events, and thousands of participants, First Nations’ $pending Frenzy has become a super-sized hit. From Mashpee, Massachusetts, to Newhalen, Alaska, the riveting financial skills simulation is the gold standard for interactive youth financial education training throughout Indian Country. Created in 2011 in partnership with the Eastern Band of Cherokee Indians (EBCI) and Shawn Spruce Consulting, the $pending Frenzy program was designed to assist tribal youth with managing lump-sum minor’s trust payments derived from gaming revenues and natural resource dividends.The approach was novel in that participants received the actual amount of their pending payments in brick-sized bundles of play money bills. Then they took a stab at managing their windfalls while going through a maze of real-world decisions, challenges and obstacles. It’s important to point out that the idea wasn’t to condone the practice of carrying around armloads of cash like rapper Lil Wayne jetting off to a Vegas weekend. Instead, the play money was an old-school teaching tool to encourage youth growing up in the digital age to appreciate the value of money by handling it physically as opposed to just inserting a credit card or scrolling through a mobile payment app. Since then the $pending Frenzy has embraced a broader audience of Native youth, most of whom do not receive sizable payments on their 18th birthdays, but do share a common need to gain financial knowledge and independence. The cool-looking play money has always been a huge part of the $pending Frenzy’s success. This is especially true when the participants eagerly eye a mountain of “hundies,” stacked to the rafters, at the onset of the simulation. 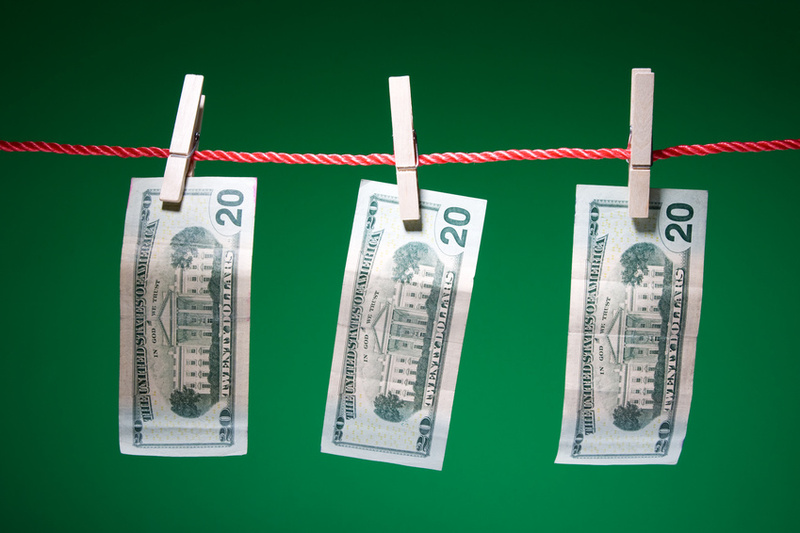 Later, when the bills are zipped through a currency counter, participants often enjoy helping re-strap the bundles for the next event – more quality time with the money. The original $pending Frenzy bills were printed by CBC Printing, a tribally owned-enterprise, and featured former EBCI Principal Chief Michell Hicks. Dubbed “Hicks Bucks,” the bills displayed a grinning headshot of Hicks on the front, with a picture of the historic EBCI Tribal Council House on the back. When First Nations began producing $pending Frenzy kits for communities nationwide to host their own $pending Frenzies, it designed a new bill replacing Hicks and the Council House with a portrait of prominent Native American chiefs and a pre-Columbus map of America. These new bills were an instant smash with Native youth from a wide range of tribes.Printed in a realistic green hue on high-quality paper, the non-tribal-specific play money added a culturally diverse element to the $pending Frenzy. The same dimensions as real U.S. currency, the bills also worked perfectly in the currency counters included in the kits. As the $pending Frenzy phenomena continues to grow in popularity, numerous partners have requested to print their own $pending Frenzy bills. These custom bills often feature tribal seals and local landmarks that add a personal touch to the events that these partners host. 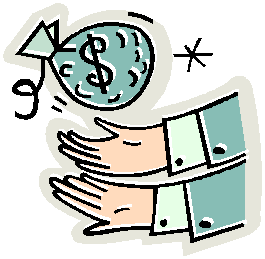 Moreover, many trainers who teach financial education classes and workshops with Native groups will use $pending Frenzy money in their other activities and lessons. Recently our team redesigned the standard $pending Frenzy bills for a third time. Our latest version features the legendary Jim Thorpe and is quickly gaining a following among $pending Frenzy enthusiasts. Take a quick tour through the history of $pending Frenzy money by checking out the pictures of the various $100 bills in this article. We look forward to many more $pending Frenzy events in the future along with more partners offering creative play money designs. For more information on the $pending Frenzy or to order a $pending Frenzy kit for your community, please contact Ben Marks, First Nations Senior Research Officer, at bmarks@firstnations.org. Two influential Native American leaders recently joined the Board of Directors of First Nations Development Institute (First Nations). 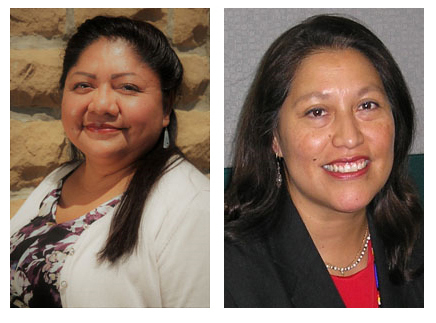 They are Monica Nuvamsa (Hopi), Executive Director of the Hopi Foundation, and Susan White (Oneida Nation), Director of the Oneida Trust Enrollment Department at the Oneida Nation of Wisconsin. With the additions, First Nations now has a nine-member board, all of whom are Native American and who provide a diverse representation of Indian Country. “We warmly welcome Monica and Susan to the Board, and we look forward to tapping into their tremendous knowledge, skills and experience as First Nations continues to move forward,” noted Board Chairman Benny Shendo, Jr.
Ms. Nuvamsa received her B.A. in Psychology and American Indian Studies from the University of Arizona, and a Certificate in Nonprofit Leadership from the Arizona State University Lodestar Center for Philanthropy and Nonprofit Innovation. 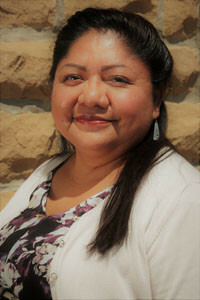 Her early career experiences included developing and managing the Hopi Tribe’s Domestic Violence Program. She served both as an Advocate and Project Coordinator until she received a political appointment to serve in the role of the Intergovernmental Affairs Liaison for the Hopi Tribe. She has served on several nonprofit boards, including Native Americans in Philanthropy, Native Public Media and the Arizona Grantmakers Forum. Ms. White directs a multi-operational department in capital strategies for protection and growth of trust assets and for management of the Oneida Nation’s census records. She maintains the Trust’s sustainable and responsible investment (SRI) philosophy by coordinating shareholder activism for Indigenous peoples rights and well-being when affected by corporations. She is also responsible for the maintenance and protection of tribal citizen records for the elected Oneida Trust Enrollment Committee. She is also active serving as co-chair for the Investors and Indigenous Peoples Working Group, the Women’s Fund of Greater Green Bay Emeritus, the Oneida Auxiliary VFW Post 7784, a Trustee for the Episcopal Diocese of Fond Du Lac, and the American Foundation for Counseling Services Ethics in Business Selection Committee. To see the full First Nations Board of Directors, click here. Pithy, poignant and … practical. That was the goal when First Nations Development Institute (First Nations) dreamed up the idea of Ask Dr. Per Cap. 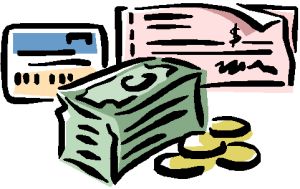 We wanted to start a financial advice column geared specifically to Native American readers. There were already countless online articles and blogs about generic personal finance topics like reading credit reports, creating budgets, and saving for retirement, but we wanted something more for Indian Country – articles to address financial issues unique to Native communities. That includes stuff like managing minor’s trust payments, paying the Kiddie Tax on gaming profits held in trust for minors, managing federal land-acquisition proceeds, and how collection practices relate to sovereign immunity. Boring you say? Not with Dr. Per Cap clacking the keyboard. It’s amazing how a good dose of Indian humor can turn a dull conversation into a party! Since 2011, I’ve written enough Ask Dr. Per Cap columns to give Dear Abby a run for her eternally-syndicated money. Partly autobiographical and partly based on lessons learned from over 10 years working as a financial education consultant in Indian Country, the columns always have a no-nonsense yet lighthearted approach. 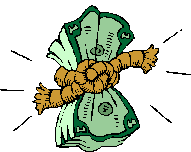 But the prescription for money woes is always the same: tough love tempered with common sense, designed to combat everyday money challenges facing folks on the rez. A column titled Gold Diggers on the Prowl is a cautionary tale of community outsiders who set their romantic sights on people with per capita cash. Shady Dealings addresses fraud and scams targeted to Native consumers – we highlight tricks we have seen, like the promise of large treasury grants, but there’s a catch! They require large upfront fees paid with iTunes cards … hmmm, sounds fishy. Pinnacle Bank is one of a handful of tribally-owned banks in the country. With two locations in central Iowa, the Meskwaki Nation enterprise offers financial education for tribal members as a service. “We publish Dr. Per Cap articles in the tribal paper,” explained Jody Fank, Pinnacle’s vice president of business development. “Topics are timely and readers appreciate how they are geared to Native people and finance. They are also really fun to read.” Other communities such as Bois Forte Band of Chippewa Indians and the Eastern Band of Cherokee Indians have used the free advice column in their local newspapers. 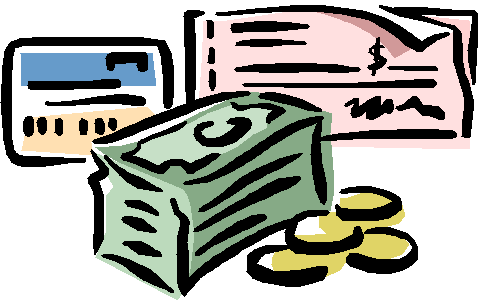 In addition to ongoing financial advice, each April during Financial Literacy Month Dr. Per Cap recognizes a team of Financial Literacy All Stars – outstanding individuals who are working hard to expand financial education efforts throughout Indian Country. Moreover, Dr. Per Cap is lending insight to an upcoming rewrite of First Nations’ Building Native Communities: Investing for the Future workbook. It contains more fun strategies to complement our ever-expanding stock of financial education resources and tools! 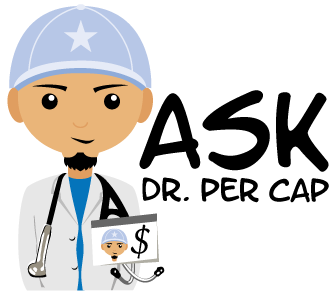 Interested in bringing Dr. Per Cap to your community? Contact Sarah Dewees at sdewees@firstnations.org to get copies of the free newspaper columns. Ask Dr. Per Cap is a program funded by First Nations with assistance from the FINRA Investor Education Foundation. Creative inspiration is led by Shawn Spruce Consulting. For more information, see this link. The Pueblo of San Felipe is roughly 25 miles north of Albuquerque and 38 miles to the south of Santa Fe, New Mexico. While sandwiched between two of the top four largest cities in the state, the Pueblo spans 68,000 rural acres. It has 3,400 enrolled tribal members, and the majority of them speak Keres, the traditional language. The Keres language is what intertwines the people with their cultural and agricultural traditions. 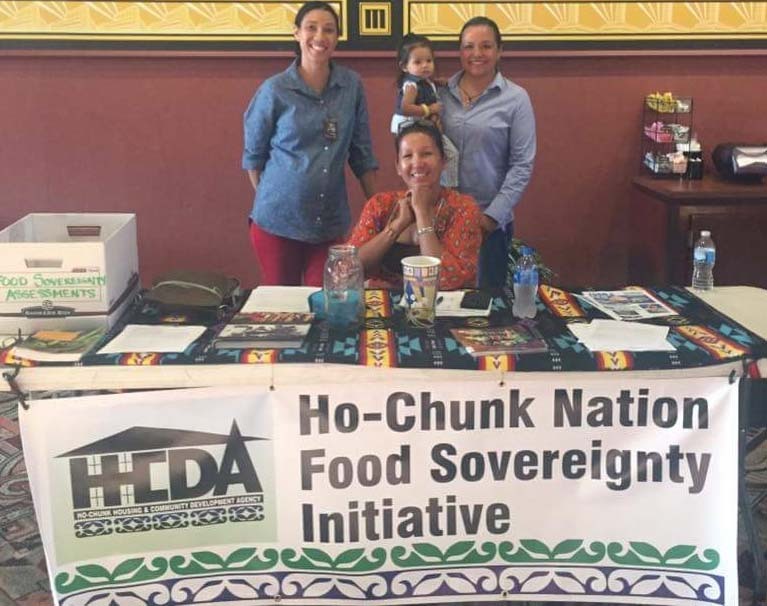 The Pueblo of San Felipe was one of the recipients of the grants awarded to 21 Native American tribes and organizations to help them conduct food sovereignty or community food assessments in their various locales from 2016 to 2017. First Nations Development Institute (First Nations) provided the grants, totaling $400,000, under its Native Agriculture and Food Systems Initiative (NAFSI) with generous support from the NoVo Foundation Fund at the Tides Foundation. The Pueblo of San Felipe’s Department of Resources (DNR) includes the Agriculture Program, Environmental Office, Water and Land Management Offices, Mapping and Historic and Cultural Preservation Office. 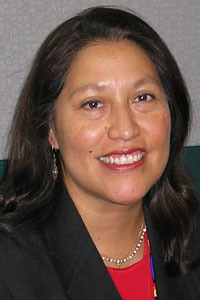 Pinu’u Stout is the Department of Natural Resources Director for San Felipe. She says the food sovereignty assessment is an important part of DNR’s work and that community engagement is a critical part of the process. A survey was created as a way to get community feedback on what issues they felt were important and needed to be examined in the food assessment. DNR utilized the First Nations Food Sovereignty Assessment Tool as a resource in creating the survey. The survey asked the San Felipe community to consider their food sources – where they get their food and what food is available to them. Even though the Pueblo is located between two major cities in the state, tribal members must drive roughly 45 minutes each way to reach the nearest big box store or grocery store. 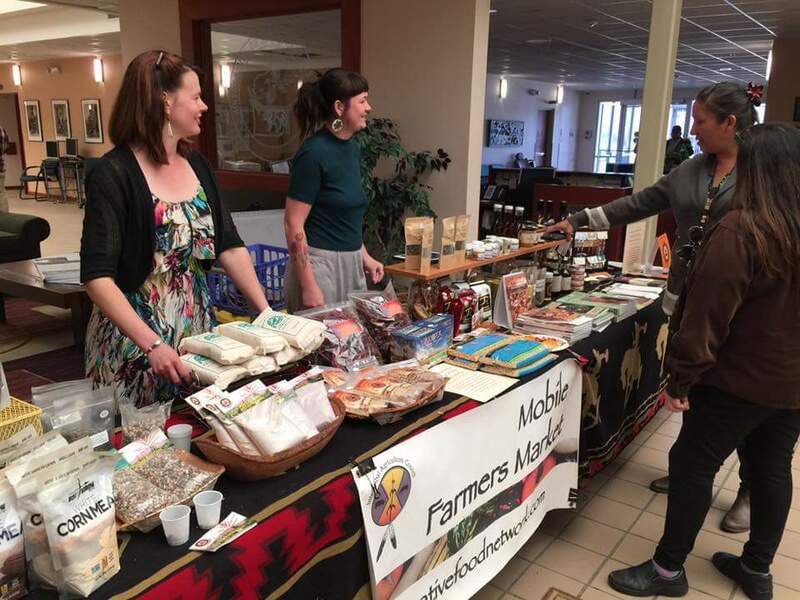 The Pueblo announced its food sovereignty assessment grant via a press release that was sent to area media outlets, but it is the person-to-person connection that made the most impact when conducting outreach to fellow tribal members, which crossed generations. 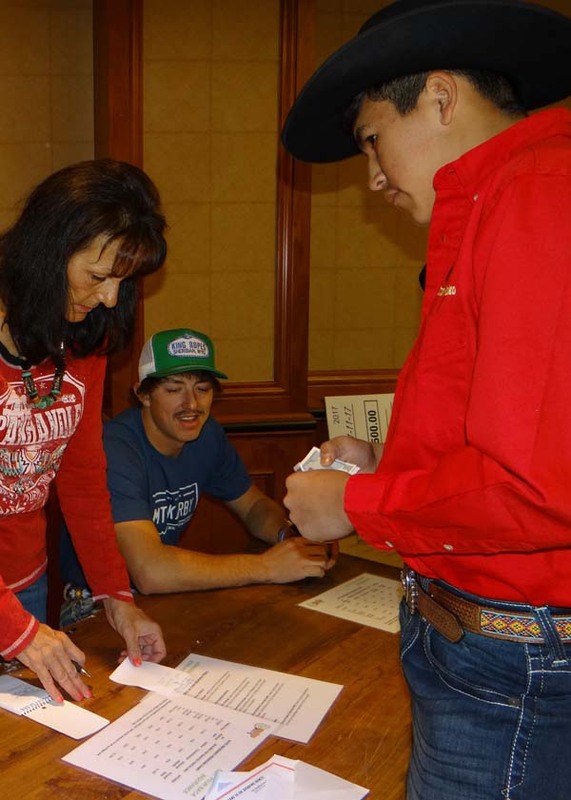 The DNR involved the youth in the village by having high school and college interns in the department take the survey from door to door within the Pueblo to encourage participation, and to connect with their fellow tribal members directly. A community luncheon and outreach event was held where tribal members ate traditionally-prepared foods, and talked about the food assessment in further detail. “The community strongly encouraged us to get more feedback from them, and to make sure they were involved in the process. A strong interest was shown in creating a community garden, with the main interest being in farming,” said Stout. According to the USDA Census of Agriculture for 2012, the number of farmers in the United States fell by 4.3 percent from the previous census held in 2007. Stout is ever-conscious that while nationally the number of farmers has been declining, the number of farmers in the community is high. “In the United States as a whole, about two percent of the population are farmers, and about 70 percent are farmers here in San Felipe, and many of our farmers also work jobs in addition to farming. We strive to support existing farmers, and to bring in new farmers. Farming is a big part of the community and life here in the Pueblo,” said Stout. One of the survey questions asked if they were not currently farming, would they want to learn how to farm? The response was high, with 75 percent saying yes, they would like to farm or help with the farming in their community in come capacity. Stout says they see it as part of who they are as a people. “They – the community – see farming tied to the culture, language, health and to the future and past. It’s a different experience in this tribal community versus the rest of the United States,” said Stout. 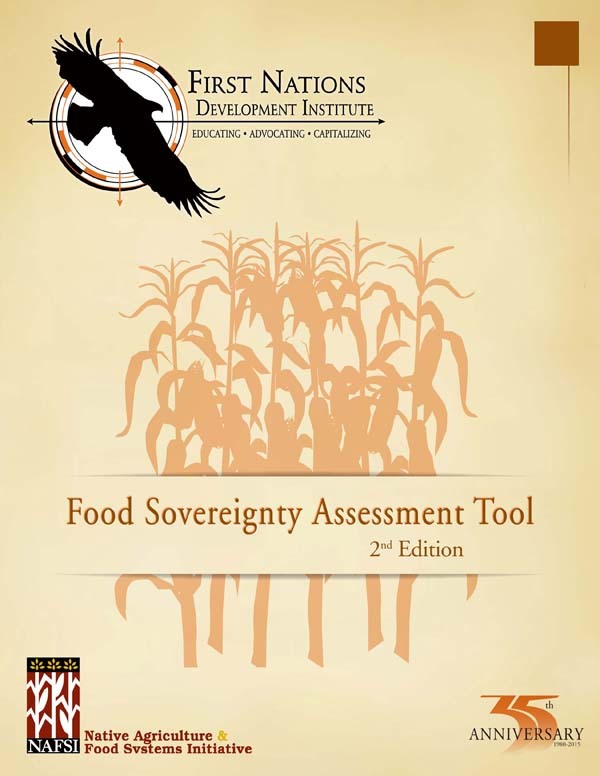 The food assessment project provided the framework and a launching point for the DNR and other program collaborators in the community to take the community’s interests and what they want to happen further. The funding provided by First Nations and the NoVo Foundation Fund at the Tides Foundation was appreciated as it supported the food assessment into becoming a reality. 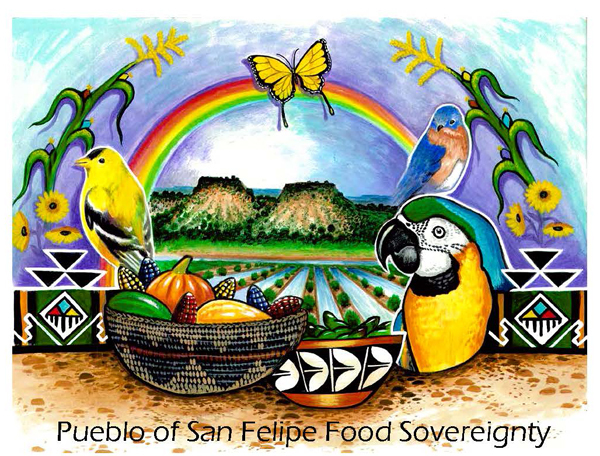 The funding from First Nations give San Felipe the opportunity to take the time to focus on food, food sovereignty and what it means for the Pueblo. The assessment is the beginning of a conversation on how to move forward in the San Felipe way – honoring tradition and moving forward in a positive way. 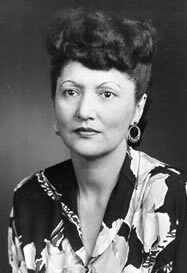 For the fourth year in a row, First Nations Development Institute (First Nations) will be closed on February 16, 2018, in honor of Elizabeth Peratrovich Day. First Nations, headquartered in Longmont, Colorado, is likely the first entity outside of Alaska to recognize this as an annual holiday. Back in the 1940s in Alaska, it was not uncommon to see “No Natives Allowed” signs at stores and public accommodations, or even “No dogs or Natives allowed.” But those were simply the most visible manifestations of pervasive discrimination against the original Alaskans. As it has for more than 37 years, First Nations works diligently to strengthen Native American economies and communities, including American Indian, Alaska Native and Native Hawaiian communities. We and our grassroots partners in those communities are making great progress, but there is still a long way to go to fight discrimination and bias against Native Americans at every level of society. That’s one of the many reasons we’re co-directing a national effort called Reclaiming Native Truth: A Project to Dispel America’s Myths and Misconceptions (click to learn more). 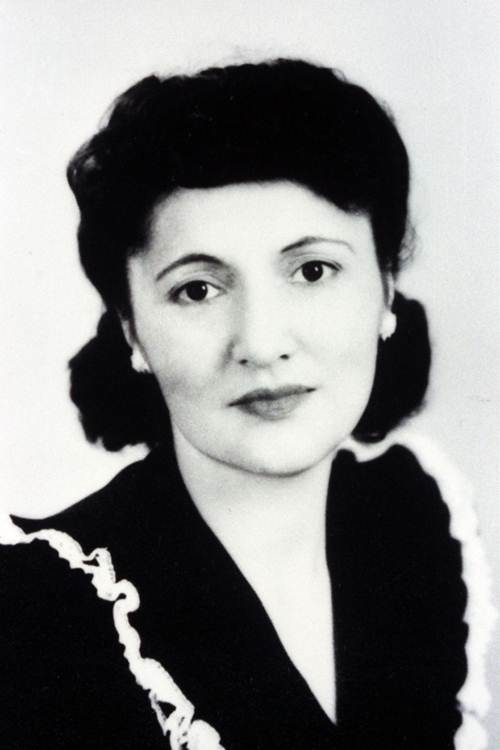 So even if you don’t observe the holiday on February 16 like we do, please take a moment that day to think of Elizabeth Peratrovich and the trailblazing effort she dedicated herself to in order to fight discrimination against some of our original Americans … and for the ultimate good of all Americans. Learn more about Elizabeth Peratrovich online, particularly on Wikipedia at https://en.wikipedia.org/wiki/Elizabeth_Peratrovich. In September 2017, First Nations Development Institute (First Nations) awarded grants to 22 American Indian organizations and tribes through its Native Youth and Culture Fund (NYCF). The grants totaled $410,000. One of the recipients was Medicine Lodge Confederacy (MLC), located in White Shield, North Dakota. The nonprofit organization serves the Fort Berthold Reservation that is home to the Mandan, Hidatsa and Arikara. The Arikara Tribe has historically had young men societies where they were mentored by older men. MLC is striving to revive these ways of teaching through their Star Boy Camp, which recruited young men ages 12 to 15 and taught them the skills of leadership, communication, confidence and self-discipline in the summer of 2017. Those who excelled at the camp will return to be peer counselors during the next year. Jennifer Young Bear is enrolled member of the Mandan, Hidasta, Arikara (MHA Nation), and served as the Star Boy Camp Coordinator. She says the seven-day camp came about with a lot of hard work, perseverance and patience … as it rained for two straight days. For many of the young men, ages 12 to 16, it was their first experience living in a traditional earth lodge, learning how to build a sweat or a traditional fire using flint. 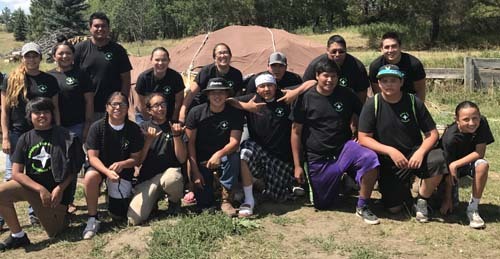 “There were older mentors to help, the boys slept in an earth lodge, and in the end they were pretty proficient in the process of the camp – doing all of the things that needed to be done. It was a little community within themselves,” said Young Bear. The young men traditionally butchered a buffalo on the ground, which included skinning of the hide, quartering and packaging the meat, singing songs in their traditional Arikara language, and they heard the traditional stories of their tribe. When the rain passed, they went canoeing, swimming and enjoyed the outdoors of the 3,500-acre ranch west of White Shield. One important aspect of the camp was to help ground the boys in their cultural teachings, but also in their spiritual foundation. The boys hiked three to five miles out in the badlands to help them to connect and build a relationship to the land and the environment. They also learned different ways to handle stress by doing breathing exercises and meditating. They were shown how to identify traditional plants and call them by their Arikara name. “We visited with the parents about the camp, and in the evaluations part, one parent said “my son left as a boy and came back as a man.” Going into manhood – there were traditional stories in our tribe about different socials that were held. We used to have these things. People saw the way they (the boys) left and how they were focused on their body, mind, spirit and emotions, which was uplifting to the camp,” said Young Bear. From the experience the boys had over the seven days, Young Bear hopes they take with them those learnings as they progress though life. She along with the many others involved in bringing the camp about – from the tribal probation officer, to the Arikara language teacher, the tribal education program, the cultural and marketing director, and the MHA Buffalo Ranch that donated the buffalo to the Star Boy Camp – worked together on all aspects of the effort. But not just for this first camp, but for the future camps, too, which Young Bear knows will happen, and that they are rebuilding on long-established roots. 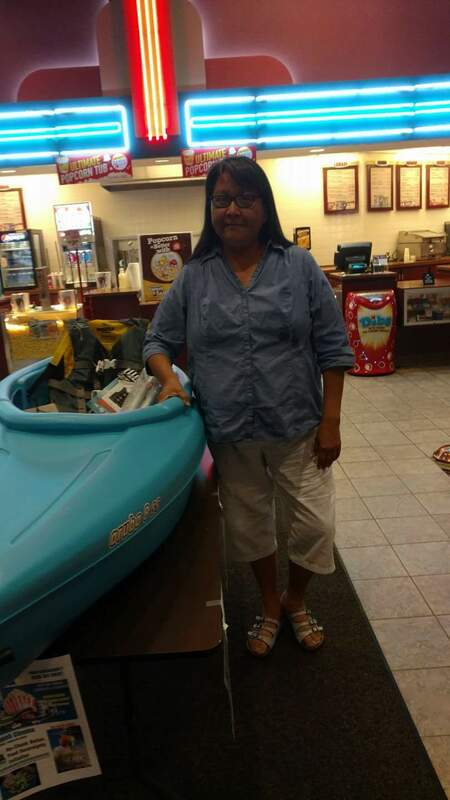 “I’d like to thank First Nations for funding us and for giving our boys a chance. We were very inspired. As Arikara people, we’re gardeners and we work with the corn. We’re in the early stages of our nonprofit, and our group is planting seeds with our children and we’re planting seeds within those young people and growing young men. They, in turn, inspired us as a group to keep growing and asked us to inspire the generations in the leading of our people,” said Young Bear. As part of the Medicine Lodge Confederacy’s work with the Star Boy Camp, the organization was asked to participate in the Power of We – Fundraising, Sustainability and Telling Our Stories training held by First Nations in September 2017. As one of the 54 attendees, representing Native nonprofits and tribal programs from across the country, Young Bear was a part of the informative and engaging training that focused on sustainability, and provided the attendees an opportunity to develop a deeper understanding of fundraising best practices and communicating the impact in a peer-learning environment. “It was really good. I was the only one there from here, so I could only pull out the main topics that they talked about, and as much as they inspired me with what they said, I couldn’t recreate it. I did share my notebook with everyone at MLC, and the main thing I got from it was that we need to step out of our box and fundraise, and take action steps and make our presence known out there. 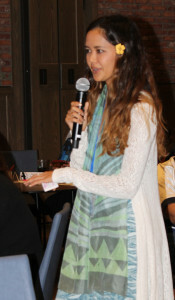 It’s an opportunity to support, to be a part of it and make things come to be,” said Young Bear. Plenty of cash was flowing at the 42nd Annual Indian National Finals Rodeo in Las Vegas, Nevada – and not just on the casino floor or in the South Point Equestrian Center, the scene of the world’s most competitive Native American rodeo. On November 8, 2017, 34 INFR Junior Tour qualifiers gathered for a captivating $pending Frenzy workshop. Each participant received $30,000 in play money and took a trial run at adulthood by shopping for food, insurance, housing and other necessities. As an added bonus, those who completed the $pending Frenzy received a real $100 bill. Cowboy up! The event was led by People’s Partner for Community Development (PPCD), a nonprofit based in Lame Deer, Montana. PPCD is a community development financial institution that specializes in affordable financial services on the Northern Cheyenne Indian Reservation. 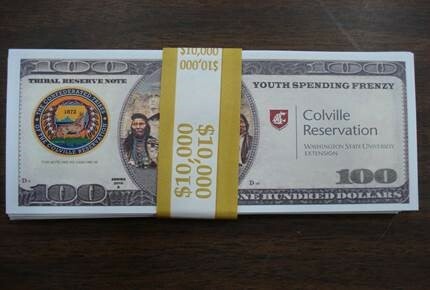 Offering innovative financial education opportunities to Native youth is a big part of its mission. The $pending Frenzy is an interactive financial simulation created by First Nations Development Institute and Shawn Spruce Consulting. The workshop is built upon a cultural framework and draws from community volunteers who sell participants goods and services and assist them with tracking expenses. There’s also a tough-love element with haggling and hard selling aimed at steering the youth into poor decisions. 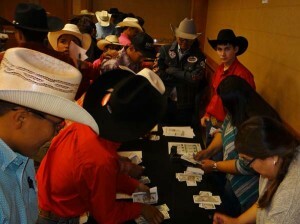 Other organizations that contributed to the success of the INFR $pending Frenzy included Chief Dull Knife College Extension Service, Indian National Finals Rodeo staff and competitors, and The Office of the Special Trustee for American Indians (Uintah & Ouray, Colorado River, and Papago Agencies). Trina Wheeler from Wheeler Enterprises of White Swan, Washington, graciously provided cash prizes and incentives. 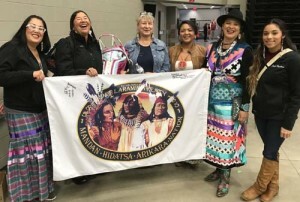 Small said the $pending Frenzy is part of a larger project her team is developing called Rodeo Bucks, a financial literacy course specifically geared to young Native rodeo competitors and their families. The curriculum is supported by the AMB Foundation and the Native Financial Learning Network, a collaborative that includes First Nations Development Institute and First Nations Oweesta Corporation with funding from Northwest Area Foundation. In addition to the $pending Frenzy, Rodeo Bucks will feature learning modules on topics like budgeting for rodeo competition, purchasing livestock, and reporting taxable income. A course pilot is planned for the spring along with a train-the-trainer workshop for high schools, tribal colleges and rodeo clubs interested in teaching the course. 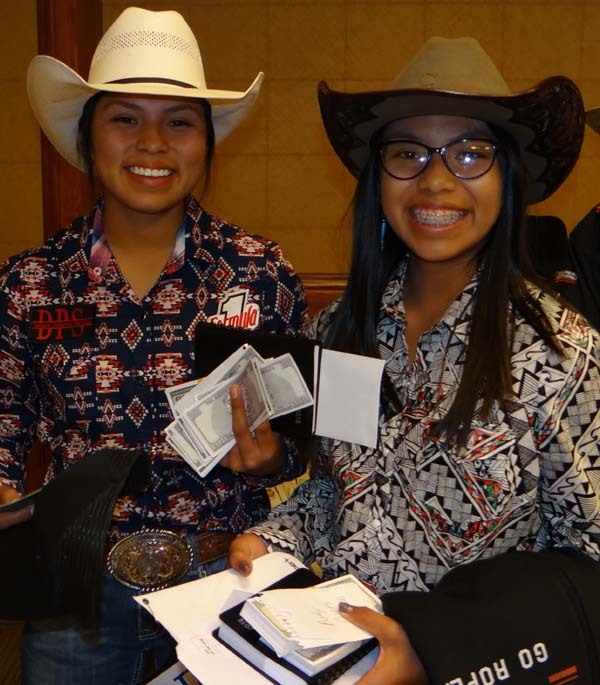 In addition to classes and workshops, the Rodeo Bucks program features youth ambassadors who spread the message of financial responsibility among peers. Seventeen-year-old Bo Tyler Vocu, an up-and-coming bull rider from Lame Deer, Montana, is one such youth. Vocu participated in the $pending Frenzy and shared practical tips, like how he snaps photos of prize money checks and deposits them into his bank account using his phone. A second Rodeo Bucks ambassador, Kaitlin Kolka, is a graduate of Montana State University and a certified Building Native Communities Financial Skills for Families instructor. She’s also the recently-crowned Miss Rodeo Montana. Kolka wasn’t able to attend the $pending Frenzy but spoke over the phone from Lame Deer where she works as an extension agent at Chief Dull Knife College. Kolka is a third-generation rodeo queen behind her mother and grandmother, both of whom won Miss Rodeo Oregon titles. She echoed Sharon Small’s comments and said that while passion for the sport is always present, business concerns are easy to overlook. In the no-nonsense words of Garth Brooks, it’s the white in the knuckle, the gold in the buckle. Keep an eye out for Bo Tyler, Kaitlin and the rest of the Rodeo Bucks team in the months to come! Interested in learning more about the Rodeo Bucks or $pending Frenzy programs? Contact Tom Robinson, Case Manager, People’s Partner for Community Development, at tbr@peoplespartners.org, or Shawn Spruce at agoyopi@gmail.com. A two-year, $100,000 grant from Newman’s Own Foundation to support our ongoing Native Agriculture and Food Systems Initiative (NAFSI) that bolsters Native American communities and organizations as they seek to reclaim control of their local food systems for improved health and well-being, as well as for asset-building and economic development purposes. Under the Newman’s Own Foundation grant and funds from other sources, First Nations, through NAFSI, provides direct grants, technical assistance and extensive capacity-building training to Native organizations and tribes that are conducting projects aimed at alleviating tribal hunger, improving community nutrition, improving access to healthy foods, and/or encouraging the development of tribal food-related businesses. In particular, the Newman’s Own Foundation support will be used to provide various forms of training and one-on-one technical assistance through onsite visits, webinars and special meetings or calls, and for participants to attend major First Nations convenings related to the work they do. First Nations also plans to publish a national report on NAFSI’s activities featuring lessons learned, best practices, policy implications, case studies and community-based effects. First Nations will also participate in the Newman’s Own Foundation Native American Nutrition Cohort, where it will share its experiences and that of its grantees while learning from other participants. A one-year, $100,000 grant from the Agua Fund as renewed funding to assist Native American communities in South Dakota and on the Navajo Nation (Arizona, New Mexico and Utah). The funding allows First Nations to work with selected communities toward increasing control of their local food systems for improved health and well-being, as well as for asset-building and economic development purposes. First Nations expects to issue a request for proposals for this grant program in the near future. Eligible entities will be Sioux or Navajo tribes, Sioux or Navajo-controlled nonprofit organizations, or Native community-based groups committed to increasing healthy food access in Sioux or Navajo communities. First Nations will offer capacity-building training to the four selected participants, while two of these groups will receive direct grants of $30,000 each. The project will focus on tribal hunger, nutrition and healthy foods access, and will engage in activities such as conducting community food assessments and expanding initiatives for food-related business development. Participants will be selected based on their potential to serve as a positive model with replicable or adaptable components for other Native communities, as well as on their communities’ needs related to tribal hunger, food insecurity and healthy foods access. A $240,000, two-year grant from the Henry Luce Foundation to conduct a project known as “Supporting Community Intellectuals in Native Communities.” The goal is to support Native American community intellectuals and widely share learnings from the initiative, while hopefully illustrating how to put their knowledge to best advantage for the good of Native communities. 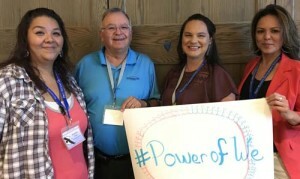 First Nations will work with four Native-run nonprofit organizations: Salish Kootenai College (Pablo, Montana), Leadership Institute at the Santa Fe Indian School (Santa Fe, New Mexico),The Hopi Foundation (Kykotsmovi Village, Arizona), and The Piegan Institute (Browning, Montana). Each of these organizations is an anchor in its community and serves as a convener and a center of excellence in supporting local community intellectuals. These organizations are elevating the Native voice in influential circles. The effort will combine projects conducted by the four partner groups to engage their communities on the state of and support for Native community intellectuals and to document the discussions. It will bring the four groups together to form a community of practice and to pool their collective knowledge, and it will also disseminate a final report summarizing the learnings and examination of support for community intellectuals. A $250,000, two-year grant from Northwest Area Foundation to conduct a project called “Changing Native Food Economies” that aims to help develop strong, diverse and resilient tribal economies. Under the effort, First Nations is creating a learning cohort of four tribes and/or Native-led nonprofits (three in Montana and one in Washington, which are within Northwest Area Foundation’s eight-state service area) that are actively engaged in food sovereignty and food systems activities or other asset-building initiatives. The cohort members, who will receive grants of $30,000 each, will share experiences and lessons learned from the community food self-assessments that each has conducted. They also will attend First Nations-hosted convenings to learn about best practices for research and methods to lay the groundwork for further project planning and implementation, and they will receive visits by First Nations personnel to provide onsite technical assistance to develop comprehensive plans that address each community’s unique population, entities and tribal policies. The selected partners are The Center Pole (Garryowen, Montana); FAST Blackfeet (Food Access and Sustainability Team) (Browning, Montana); Swinomish Indian Tribal Community (La Conner, Washington); and Fort Belknap Community Economic Development Corporation (Harlem, Montana). They will identify economic opportunities within their community food systems that, if given adequate resources, would support the creation and/or expansion of businesses and jobs. In this case, adequate resources might include sustainable community connections and partnerships, as well as supportive tribal policies and processes.